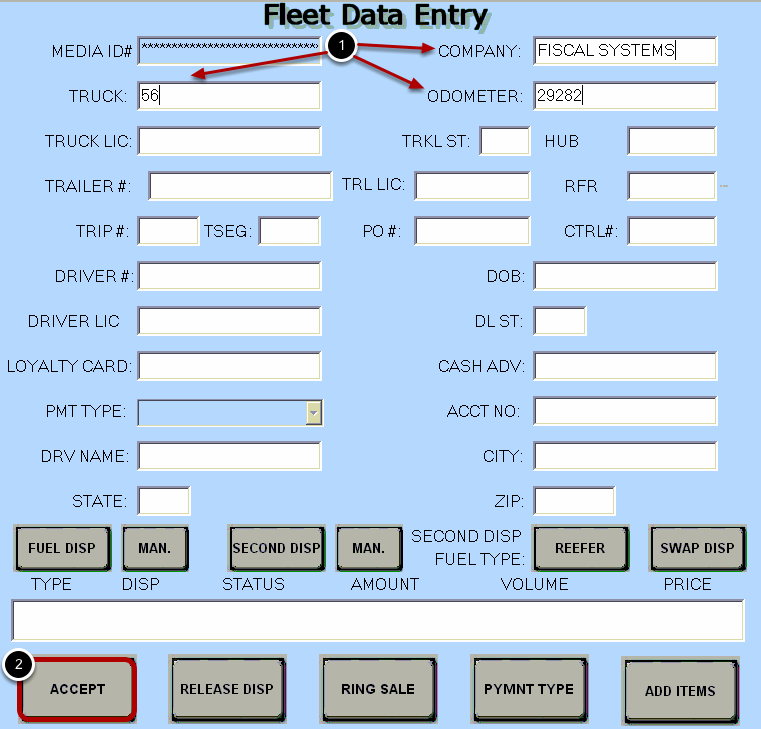 TravStar1 Point Of Sale SystemRegister Manual Truck Fleet Transactions (TFT)How Do I Setup and Process a TFT with a Cash Payment? 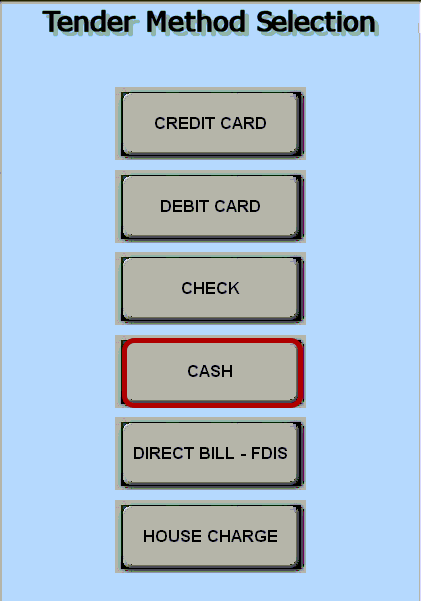 How Do I Setup and Process a TFT with a Cash Payment? 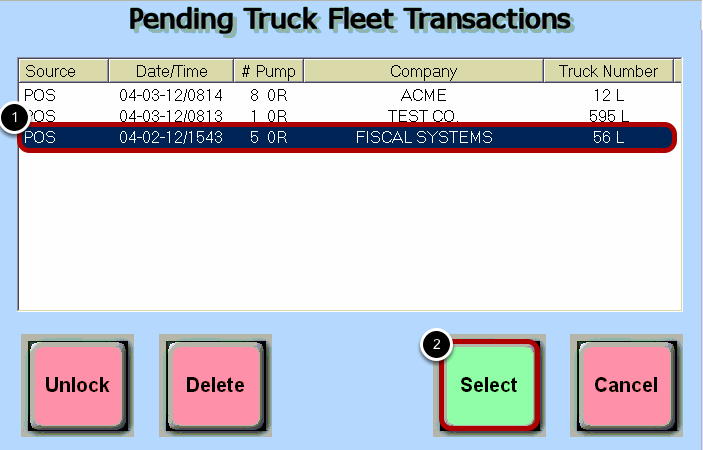 This lesson will teach you how to start a Truck Fleet Transaction (TFT) and process it with cash as the payment type. 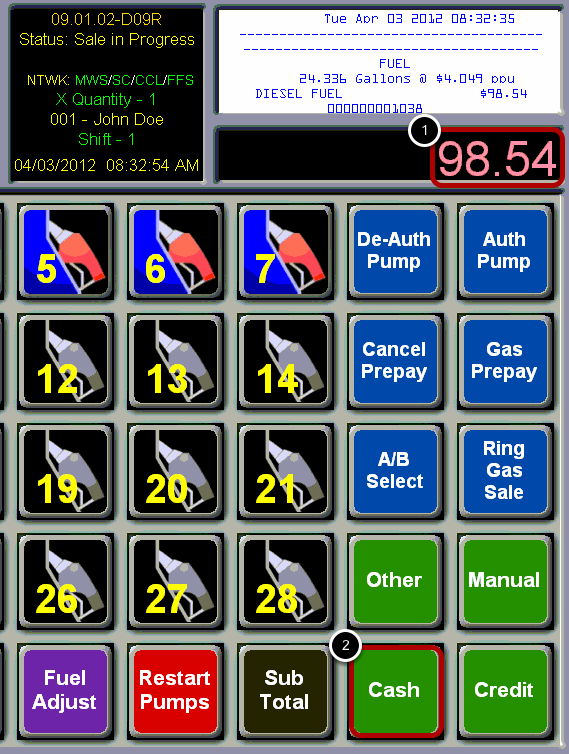 (2) Touch the matching button(s) that the customer is going to fuel. 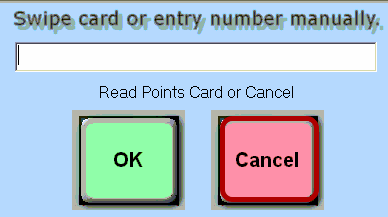 Note: Since you selected the tender type cash, all potential driver information fields are available. For cash transactions, you will be prompted to enter a maximum dollar amount for the fuel transaction. 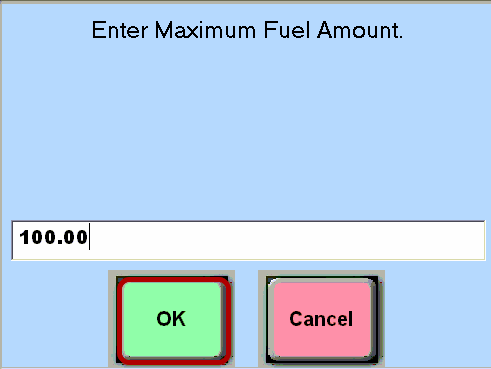 Using your keyboard type the maxium amount of fuel the customer can purchase. 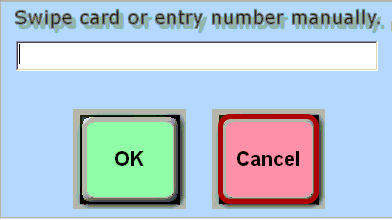 Then touch the "OK" button. 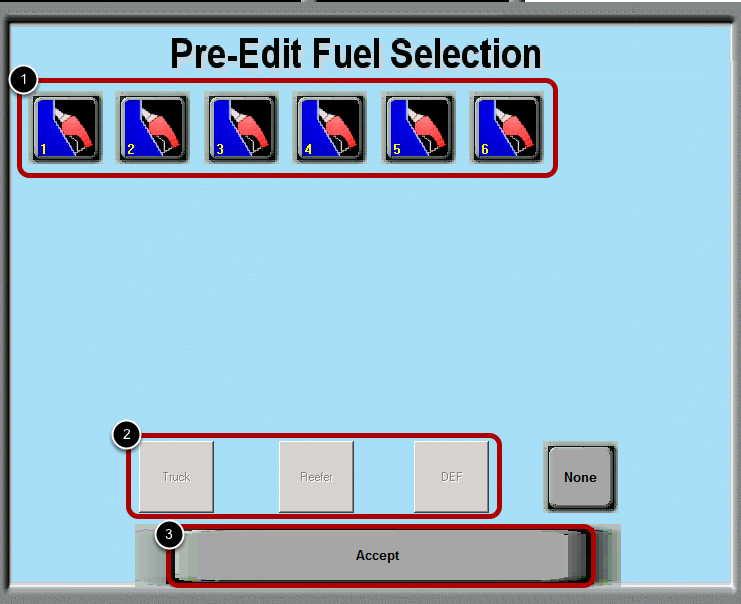 Prev: How Do I Setup and Process a TFT with a Cash Advance and Fuel? Next: How Do I Add an Item within a TFT?